We decided it was a lazy Sunday morning, so let Charlie's fix us breakfast, before our tour of places now, what we remember, and beyond. The Sheriff was sitting in his usual seat at the counter having a cup of coffee. He didn't seem to mind me taking his picture. Makes him feel appreciated? After a leisurely breakfast, we left Charlie's and headed for Bridgeport. What a sight! We'd never before seen so many cars and people at the covered bridge, but hadn't been there on a Fourth of July weekend. Just above the river we turned left onto the dirt road leading to Rice's Crossing. We'd been there once before later in the summer, and it looked like a great place to swim. Sunday the water looked cold, swift and dangerous, but was still beautiful. All that remains of a bridge that used to be here. I thought I'd find some history on it, and stumbled across the name of a highwayman named Tom Bell. Bell Valley lies on the line between Parks Bar and Foster Bar Township, where the Rice's Crossing road passes. It was named after Tom Bell, who used the valley as a retreat for stock and other booty in the mid 1850's. He was nearly six feet tall, well proportioned, strong, intelligent, active...and possessed a sanguine temperament. He had thick sandy colored hair, a matching goatee and light blue-gray eyes. His nose was originally well formed and large, but the bridge had been crushed, so that it was almost level with his face. The defect made his appearance more frightening when viewed along with his lawless practices. Bell was a native of Tennessee, where he graduated from college and medical school with high honors. His real name was Thomas Hodges. He enlisted in the Mexican war and served under B.F. Cheatham. 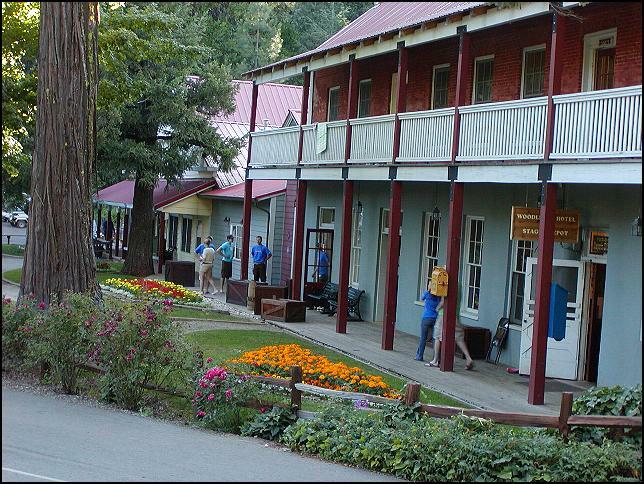 In 1849 he joined the gold rush to California, discovered a rich mine in Mariposa County, played high roller until the mine gave out and he went broke. He stole eleven mules from a Mexican camp nearby, drove them to Nevada (City?) and sold them at a high price. He discovered that stealing was easier than using a pick and shovel. This motivated him to organize a bunch of bandits. Bell eventually was caught and imprisoned on Angel Island, where he pretended to be sick. He was then sent to San Francisco's Broadway jail for treatment. After he escaped the authorities learned that Tom Bell and Thomas Hodges were the same person. 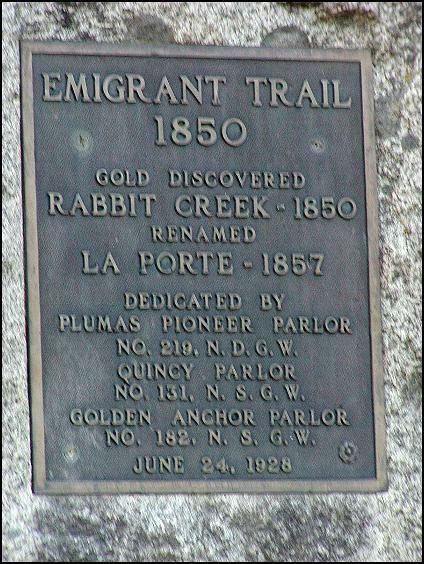 In October 1856, Sheriff Hanson of Placer County learned that the Bell gang was in his area, and with a party of armed men he set out to find them. 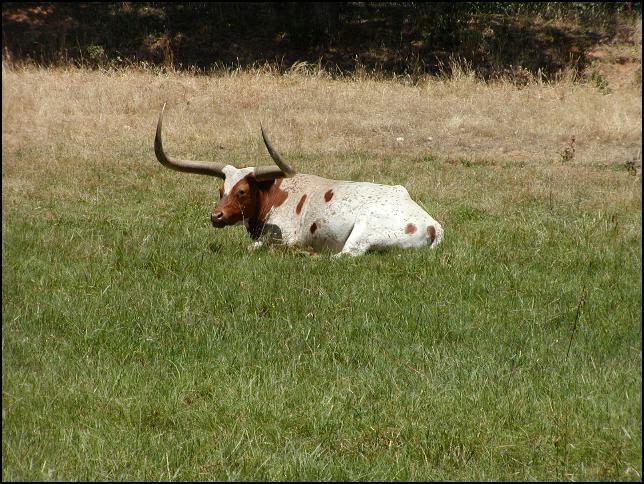 One historical rendition says that after lots of shooting near a wayside saloon, a bandit named White was captured, but Bell and Texas escaped. He was promised leniency if he'd lead them to Bell. 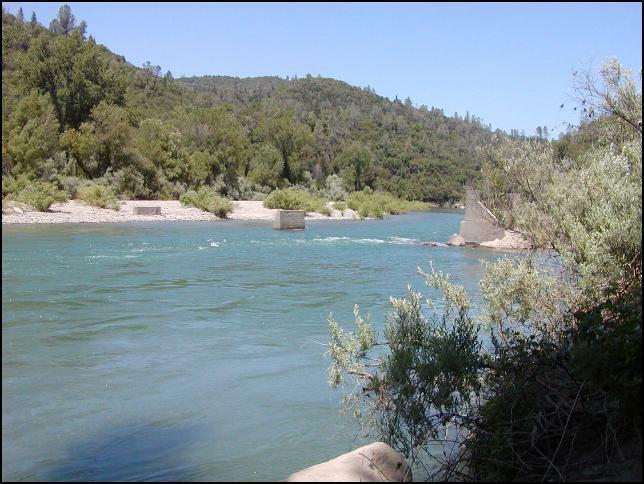 They went to Knight's Ferry and then on to the banks of the Stanislaus River. By accident one of the men noticed Bell hiding in the thick willows. 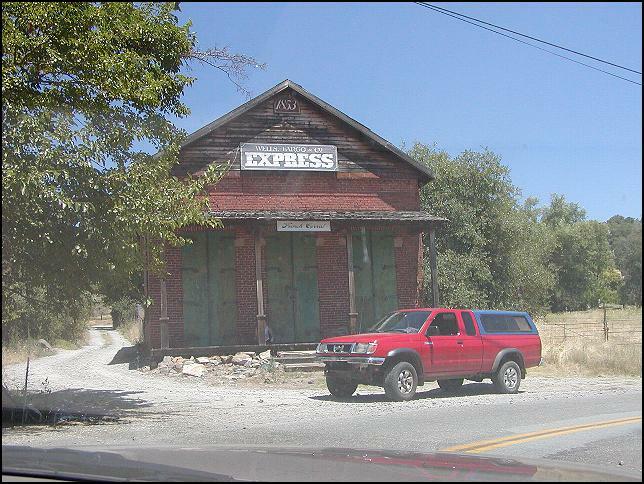 They took his gun, bowie knife and tied him on his horse and rode on to Firebaugh's Ferry. It was about 11a.m. Bell was informed that he would be hung at 4p.m. that afternoon. The twenty-eight year old outlaw asked permission to write a letter to his mother and another woman where they'd searched for him earlier. Then he asked for some liquor to numb his senses...and became very drunk...freely talking about his exploits and adventures. Near the ferry there grew an oak, the only tree in that vicinity, known as "the lone oak tree." At the appointed hour, Bell was taken to the tree, were he fervently prayed for forgiveness. A rope was placed around his neck, and within moments he was dead. 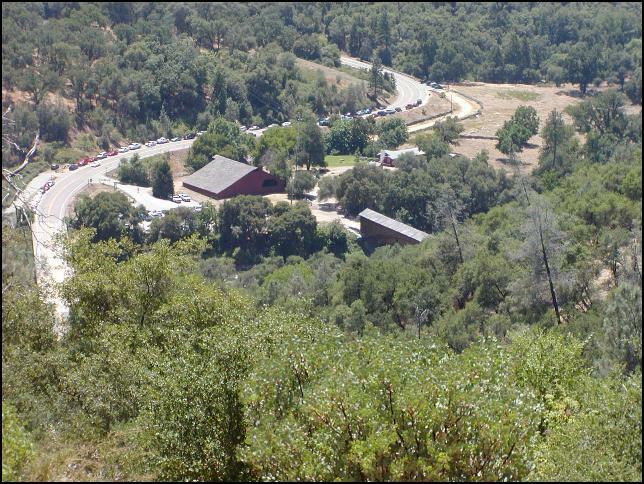 The Encyclopedia account says that Tom was tracked down by a vigilante group near the Merced River on October 4, 1856. "By the time the Stockton Sheriff arrived, he found Bell hanged from a tree outside Nevada City, California." I can't help but think the tree was by the South Yuba River near Rice's Crossing. 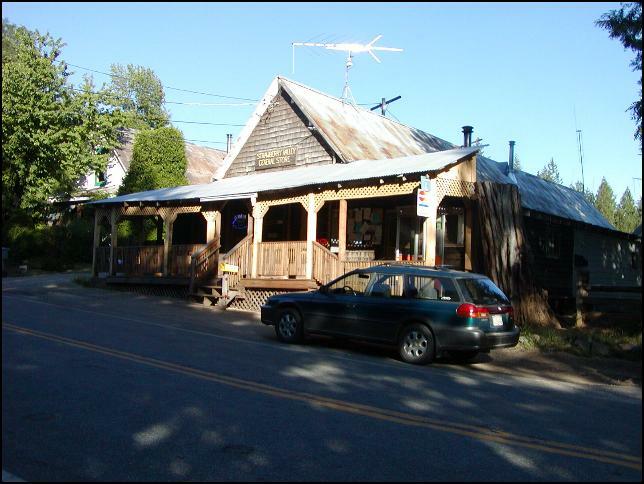 We decided to take the Rice's Crossing dirt road over the hill to French Corral. 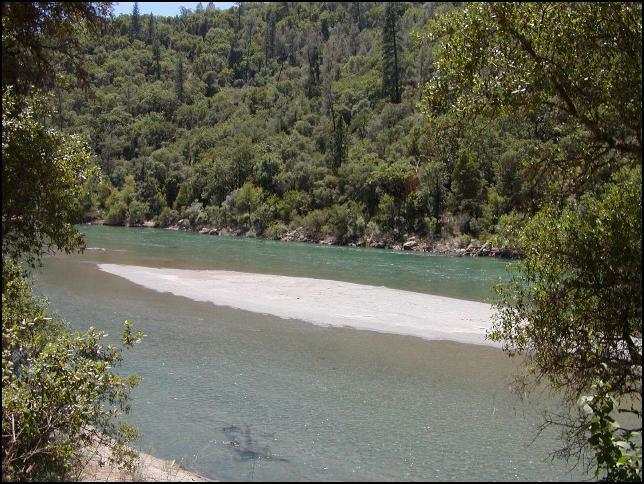 This is a higher view of the river, and of Bridgeport just before we reached the top. The old Well's Fargo building at French Corral. How'd you like to have to wear these? 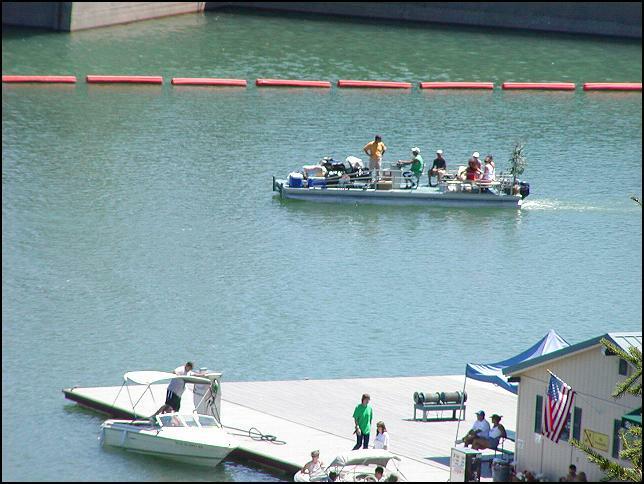 Bullard's Bar was swarming with boaters. The parking lots were full. 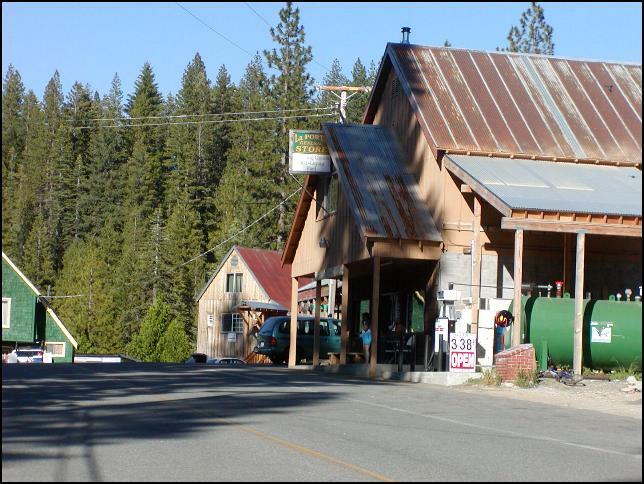 We continued our drive to places where Mel hauled many truck-loads of logs when we were first married. 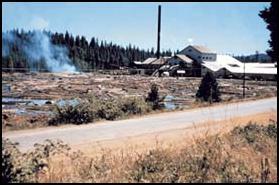 Woodleaf used to be the site of a big sawmill. 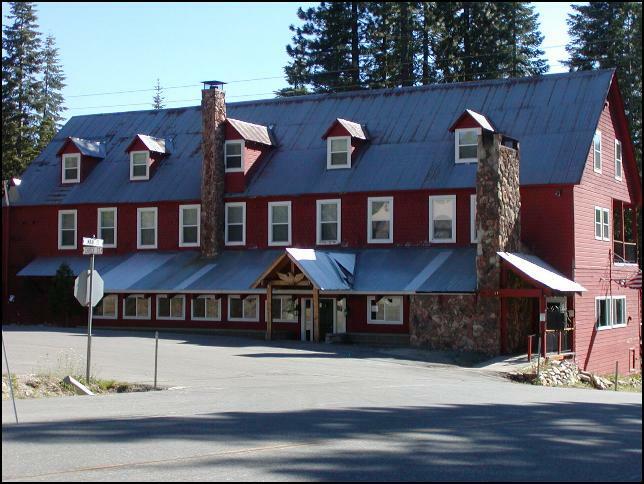 Mel thought the hotel may have been the bunkhouse for the workers. Across the road is a lake that once served as the log pond. 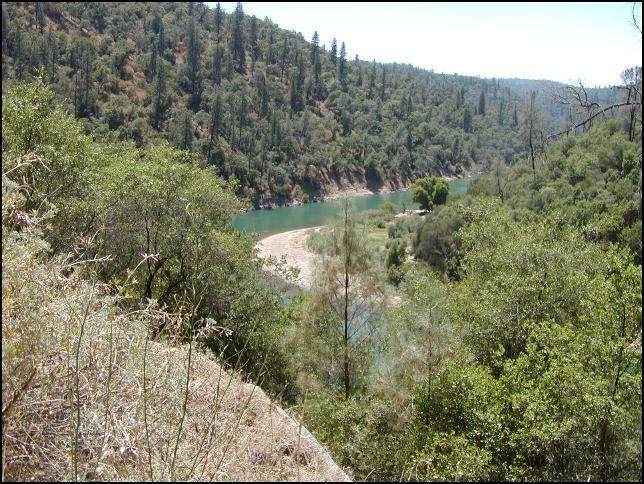 In 1904 Nelson P Wheeler and James P Soper form the Soper-Wheeler Co. and purchase 14,000 acres of forested land between the Yuba and Feather Rivers. 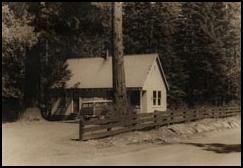 The 1942 picture of the sawmill on the left was in Woodleaf, while the 1943 office building was located in Strawberry Valley. In 1958 the company joined forces with the U.S. Forest Service to develop a 2,000 acre experimental forest in Challenge to study tree growth, disease and development of sustained timber cutting. Their tree farms are still seen throughout these areas. In 1973 First lady Nancy Reagan planted Soper-Wheelers one-millionth tree. This plaque is across the highway. In 1944 William "Bill" Holms was hired by Soper-Wheeler Co. He'd just graduated from Yale with a degree in Forest Management. His job was to manage and develop the private timberlands of Soper-Wheeler. He eventually observed, "It is insanely absurd that a private tree farmer is required to get the permission of a socialist state to harvest his own crop or to reduce the fire hazard on his own land." 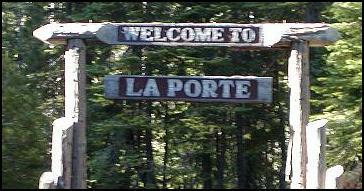 Next and last we stopped at La Porte. 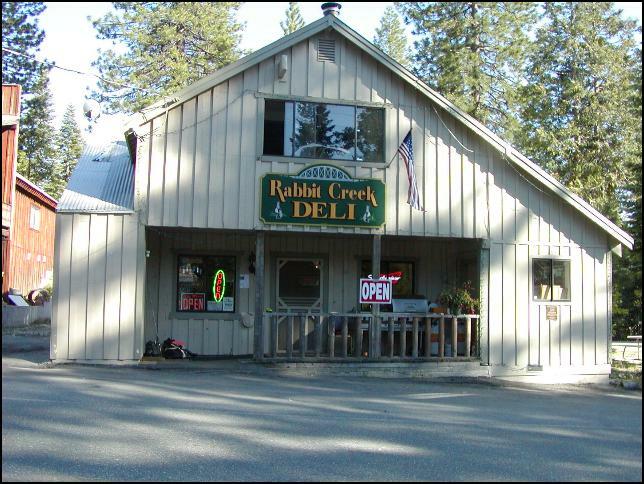 We enjoyed a cup of coffee and snack at this Deli, and then headed back home. It's been fun to think about what used to be. Like the vanished gold mines...there isn't anything left (except memories) of the many sawmills that used to be scattered throughout these areas.